Smite season five will bring with it the game’s “biggest art and gameplay changes ever.” At this year’s fan expo, developers Hi-Rez will reveal a brand new conquest map along with a new Greek god. Cerberus, The Warden of the Underworld, is the next character coming to Smite. There’s also a return of the jungle fog, and the map has been widened, to mean map rotations are more meaningful and take more time. 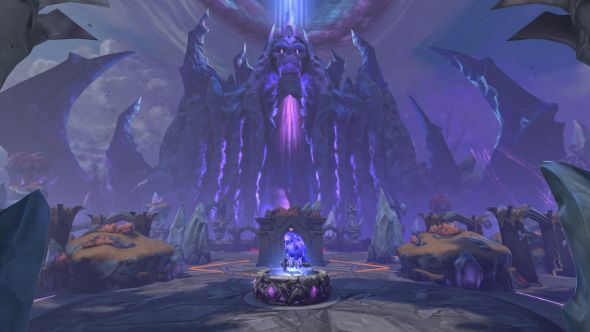 The new map is based on the Greek pantheon, and a video published by Hi-Rez shows Hades, God of the Underworld, building it. One side sits in a valley beneath a shining temple, while the other is overshadowed by an enormous shrine to Hades himself. Jungle monsters will be getting makeovers in keeping with the new theme and jungle fog will also be returning. You can get a closer look at the new map in the video at the top of this article, and a look at Hades’ sinister machinations below.